I posted a while back how I wanted to try out Curves Circuit with Zumba. Sadly, I had to forfeit that great opportunity to get my groove back because I can't commit to have a Manila trip every week. Oh well! 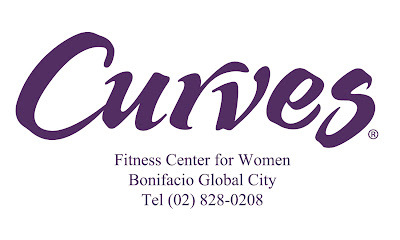 But thanks to Curves, get ready to shimmy and to sculpt because instead I'll be giving out to 2 (two) lucky Metro Manila readers a Month's worth of Fitness Sessions at Curves Bonifacio Global City, Gift Certificate worth Php 2500. For 30 minutes, 3x a week, Curves signature fitness program offers a complete cardio and strength training workout that can burn up to 500 calories and work every major muscle group. This is a local (Philippines) giveaway to Metro Manila Residents who will be willing to visit Curves Bonifacio Global City. Not Convertible to Cash. Entry submission will end July 15, 2011. Hi Chic and Sassy Mom! If a provincial reader wins, puwede bang friend/family in Manila ang gumamit ng prize? PLEASE... hoping to c/o to a Metro Manila Address. QUESTION - is there an expiry/use-by-date for this?